These services are commission-based and are helpful when it is necessary to determine the best venue for our clients’ antiques, jewelry, furnishings and other personal property. Independent buyers are contacted as well as local, regional and national auction houses to place clients’ property. 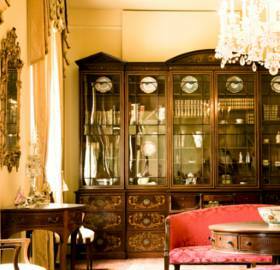 The appraisal of antiques and residential contents includes but is not limited to: antiques, furniture, fine art, paintings, collectibles, jewelry, decorative art, crystal, silver, porcelain, textiles, used and rare books, office equipment and firearms. If you have questions about the valuation of a particular type of object, please contact us to discuss your individual needs.